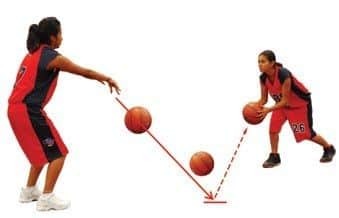 This work, "How To Pass A Basketball", is a derivative of "﻿Lebron James ﻿" by Keith Allison , used under ﻿CC BY﻿. "How To Pass A Basketball" is licensed under ﻿CC BY﻿ by BallTillWeFall.com. For a baller to have excellent passing skills makes their game even more lethal. Why? Because now defenders not only have to worry about your scoring ability, but also your ability to set up your teammates to score. Passing can be a lost art these days, but we’re going to talk about how to improve passing in basketball. Basketball is a team sport – and because of that passing is a crucial part to winning. There’s a lot of different ways to pass the ball – and we’ll break those down step by step. 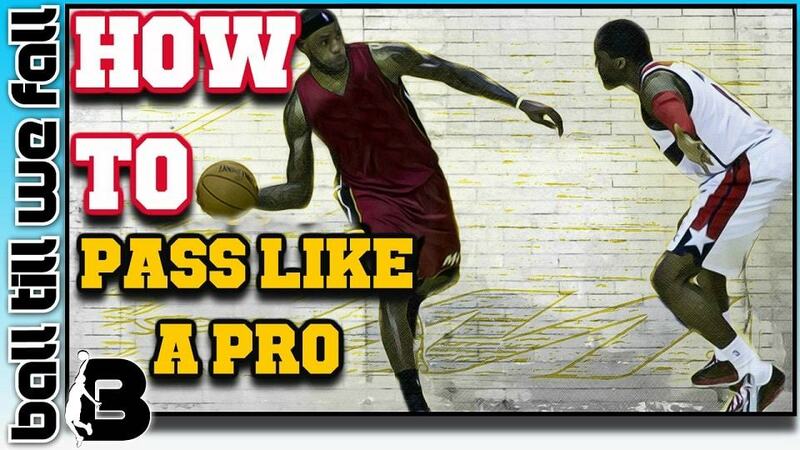 We’ll give you some suggestions on becoming a next level passer. Make sure you work on this part of your game so you’re a well-rounded baller. You can pass or shoot – and you’ll do whatever the defense gives you and make the right play. Take pride in becoming a better passer and making your teammates better! First things first, you have to know how to pass a basketball correctly. We’ll start with the basics here – the three most commonly used passes in the game of basketball. Whether you’re playing or watching – these are the types of passes every baller uses from kiddie league to the pros. You should learn and use all three of these passes as the passing foundation of your game. If you want a "foolproof" basketball training program to follow definitely check out #1 on this list! Chest passes are great in situations when no defenders are in the passing lane between you and your teammate. Whether it’s their entire body – or just a hand in the passing lane – these can lead to steals for the other team. You want to read the defense before you make the pass – if all is clear – then follow the steps above and make a strong chest pass to your teammate. 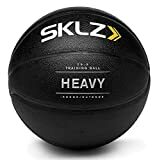 The SKLZ Solo Assist Basketball Rebounder helps train both passing and shooting accuracy. 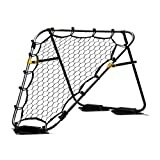 Best yet, it is portable and folds flat for easy storage! Bounce passes are used when your defender does have a hand in some form or fashion in the passing lane. You see their hand out defending the passing lane so instead of chest passing – you bounce pass the ball to your teammate. The bounce pass will bounce under their hand so that they can’t knock it down and steal it from your team. If you’re looking to pass and see a hand in your way – make the bounce pass to avoid turning the ball over to the other team. The overhead pass is going to be used in a situation where your teammate is a long distance away from you – such as an outlet pass to start a fast break or if you want to make a cross court pass. It can be a dangerous pass to use. The main reason being that since the pass is used in longer distance scenarios, the chances of turning it over are increased. This pass is not meant for weak upper body players. Here’s a great video that breaks down all these passes from the great John Calipari, University of Kentucky Men’s Basketball Coach. Once you have these three passes ingrained in your game then it’s time to start making even more progress. It’s one thing to know how to make these passes – it’s another thing to know how to make these passes even better. We’re aiming for a great pass every time. How do you make good passes in basketball? Well I’ll tell you how – you get stronger, faster, and smarter. Let’s break it down. The key to improving your passing is to get stronger. If you’re getting stronger by the day that means your passes are getting stronger too. Do you want to make a pass that’s hard to steal? Get stronger so that you’re putting all your weight behind it. Do you want to be able to throw an overhead pass the length of the court? Get in the weight room. If you want to make faster passes you have to be a step ahead of your defender and the other team. You can’t spend time thinking about where you want to pass the ball. You have to be ready to pass with no hesitation. If you hesitate then that gives the other team time to get in position to steal the ball. Work on seeing the whole court and being ready to make a pass quickly. Push yourself to see how fast you can make game like decisions when it comes to passing. I think of accurate passes as the smart passes in basketball. You always make the right decision and don’t turn the ball over. It’s not always easy, but you get it done. These ballers have confidence in their passes. They don’t overthink the pass because if they do that than their accuracy immediately drops. To be accurate, you have to be smarter than your defender. How do you do that? You may have to fake a pass to get your defender to move and then make the pass. All of these aspects go hand in hand – if you’re strong and fast but not accurate then your pass might get stolen or if you’re fast and accurate, but the pass wasn’t strong enough to get there then that’s a turnover. You want to have all three in every pass your make – it’s strong, it’s fast, and it’s accurate. If you can get this trifecta in your game then you’ll turn into a legitimate passer. There’s a lot of different levels of passing – you’ll start as a beginner and work your way towards a more experienced passer. Up until this point, we’ve touched on the basics, or beginner level, skills when it comes to passing. After you’ve spent time working on these skills and integrate them into your game then you’ll be ready to take your game to the next step. The thing about this next part is that not every baller can make these types of passes. This is the more advanced stuff that is not meant for everyone, but those that work on it can put it into their game. These are the passes that no one can defend – they draw “oohs” and “ahhs” from the crowd. Start with the ball in your strong hand and your palm facing up. Your hand and the ball will be to the side of your hip on your strong side. Start swinging the ball behind your back towards your other hip with your palm still facing up. As the ball get closer to your other hip, let the ball go! 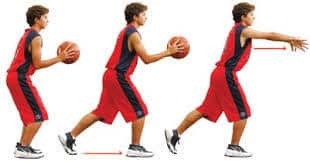 These steps have the pass going in slow motion, but it’s all done so fast that it makes more sense while you’re practicing the pass. You want to make sure that your teammate is in the right position to catch your pass – meaning you do need to be aiming for them. This pass doesn’t require any special steps – it adds another level to your passing because you’re not giving your pass away to the defender by looking at your teammate. You could be looking to the left but passing to the right! And the defenders won’t see that coming because they’ll be watching your eyes. Nobody in the game does the no-looker better than King James. Check it out! All the passes we covered in this article are used in every game of basketball. If you’re watching and studying some of the greats to ever play the game you’ll see them making smart passing decision between a chest pass and an overhead pass. There have been some great passers to step on the court, but a few stand out as the best of the best. As you’re working on your game, it helps to study the game, so here are the ballers you need to watch as you’re working on taking your passing game to the next level. Note: These players are in no particular order or pulled for any other reason other than they’re my favorite passers to watch. You won’t go wrong watching any of these players. They are great examples of how you take basic passes and adapt them into your game for your own signature moves. 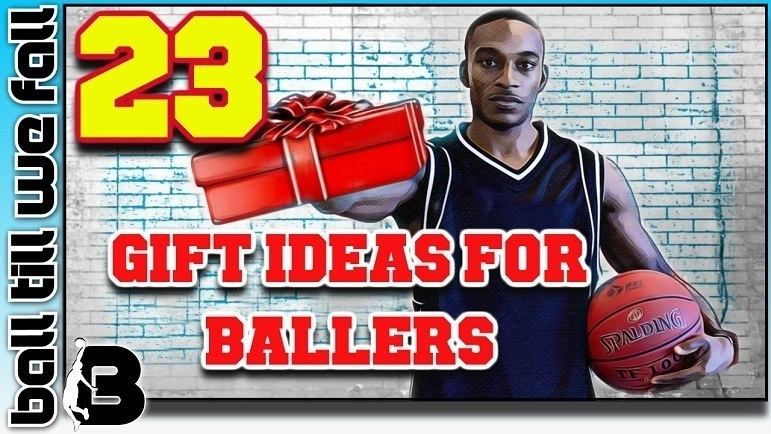 This article has a lot of good information on passing – but you won’t become a next level baller by just reading an article. You have to take what you’ve read and figure out how to incorporate it into your game. Start with the basic passes and gain confidence in your passing abilities before you start moving to the next level. Be sure to focus on the details of strength, speed, and smarts when it comes to passing as well. These are three keys that can take your passing game up a notch because defenders won’t be able to stop you. Get to work and we’ll be watching for the youtube highlights! 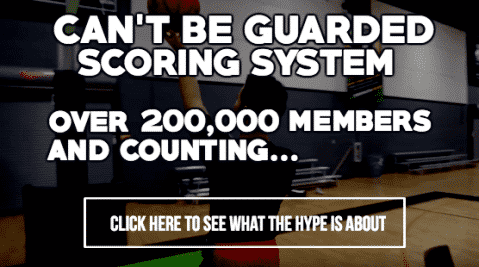 Find out which online basketball training program we ranked #1 on this list!